Communication Design alumna, Briana Lynch is a award winning graphic designer based in New York City. In 2015 she graduated from Parsons the New School for Design with a BFA in Communication Design. Currently a designer at The Pekoe Group, Briana creates original branding, marketing and advertising materials for theatrical productions on and off broadway. 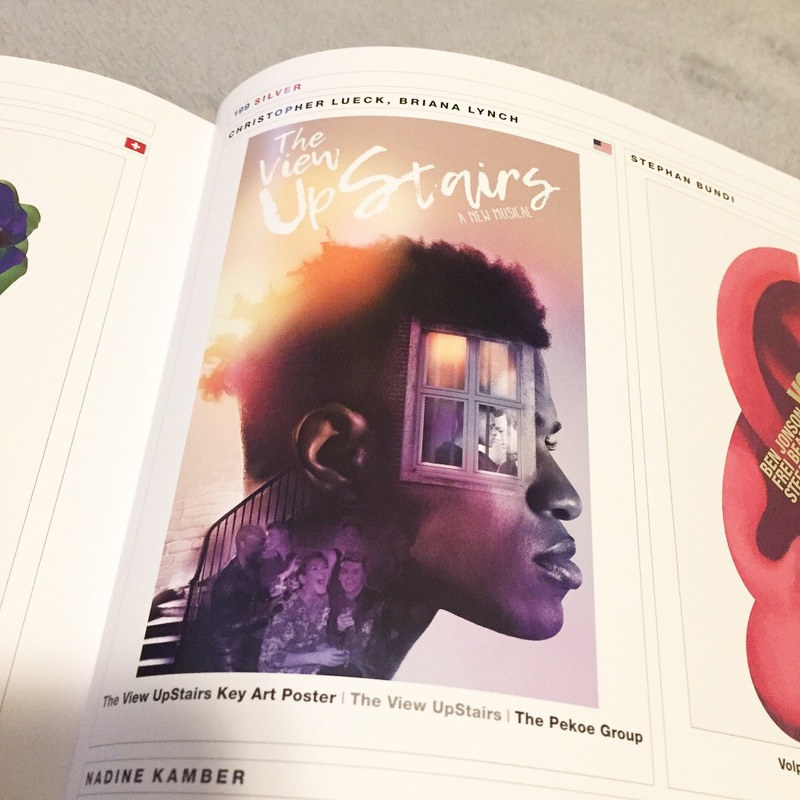 Her work has been featured in the Graphis 2018 Poster Annual and given exclusive release on Playbill.com. 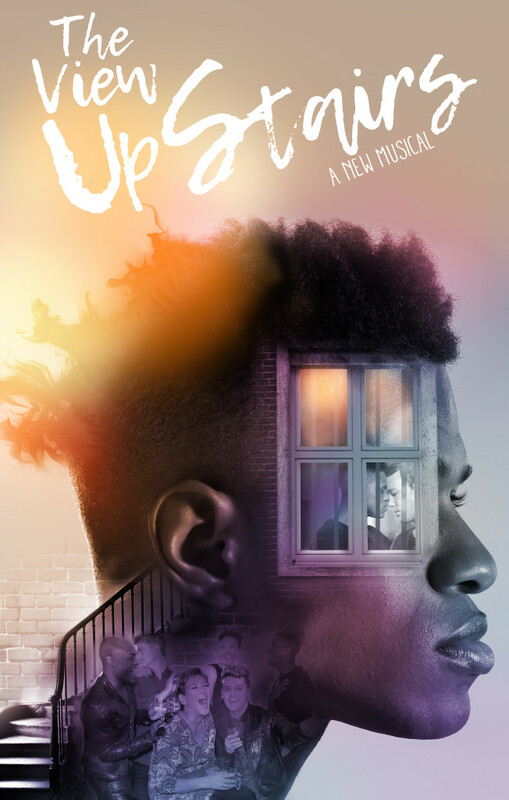 The View UpStairs was a vibrant new Off-Broadway musical that asks how we connect, as it joyfully explores the difference between followers and community. It reminds us that our utopias are on us to create and that the fuel for that creation lies in our relationships and our views of both the future and history. Inspired by the nearly forgotten 1973 attack on the LGBTQ+ community in New Orleans, this is a story that needs to be told, but more importantly it is a journey that needs to be experienced and felt. The challenge was to be true to that inspiration but also represent the celebration and party atmosphere of the production, welcoming the audience into this fiercely provocative piece. 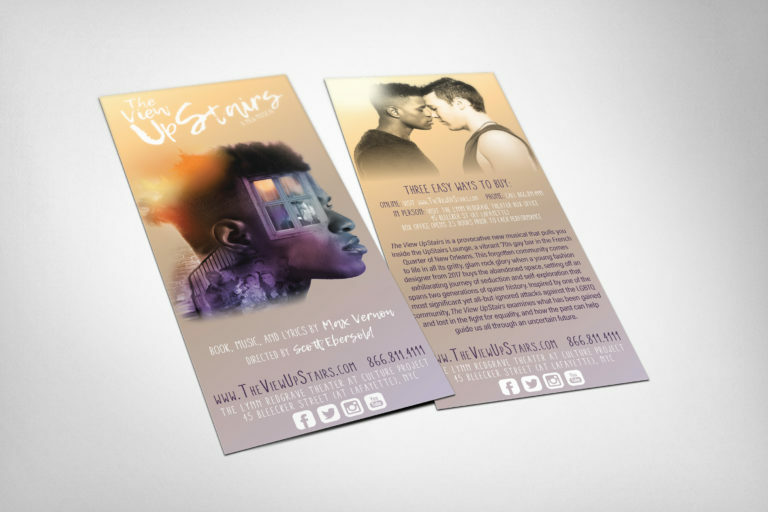 I love how creating branding for theatre allows me to connect audiences to shows that have the power to inspire, teach, and entertain them. 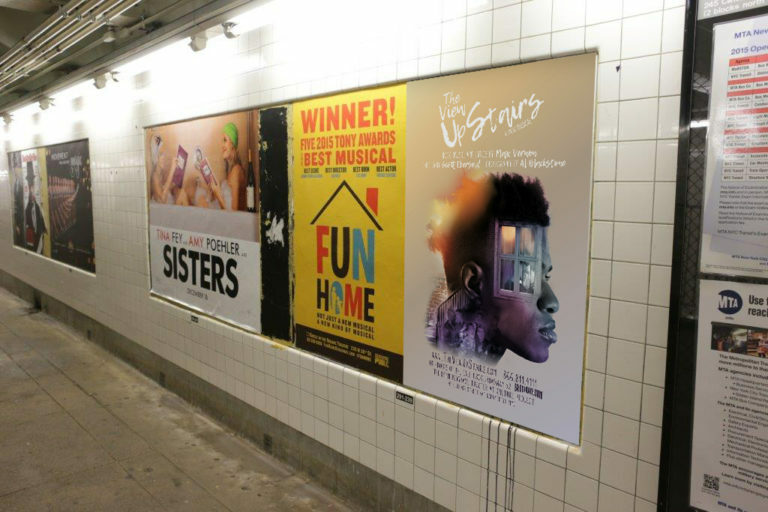 To be recognized by the graphic design industry for the work I’ve done in theatre is a dream come true.